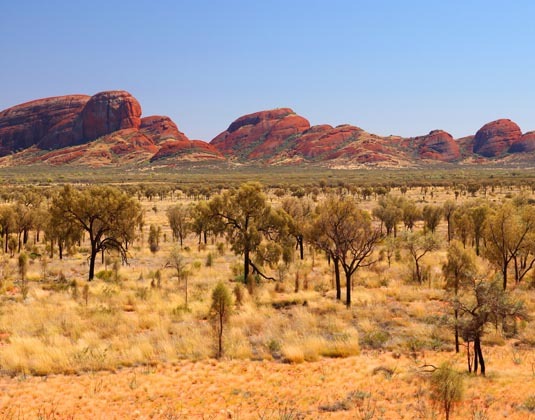 Day 1 Alice Springs/Uluru: Travel south from Alice Springs and visit a camel farm and then view Atila (Mt Conner) en route to Ayers Rock Resort. 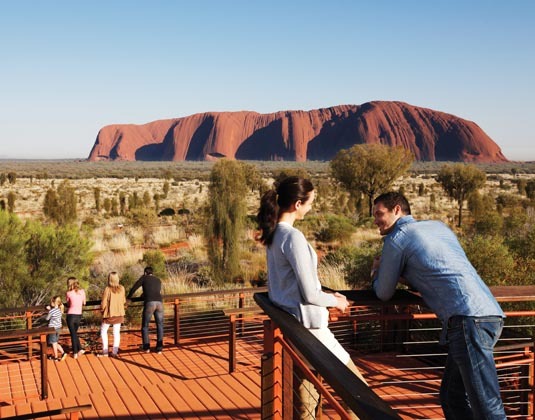 A visit to the Uluru-Kata Tjuta Cultural Centre and a tour around the base of Uluru with your driver guide this afternoon are your introduction to Australia's massive, world-renowned rock formations. 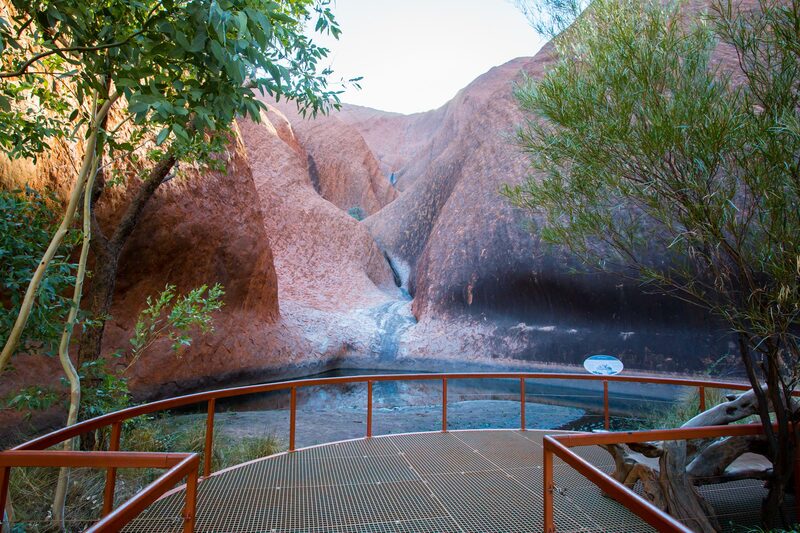 On the Kuniya Walk, you'll be escorted to the mystical Mutitjulu Waterhole and view ancient Indigenous rock art. 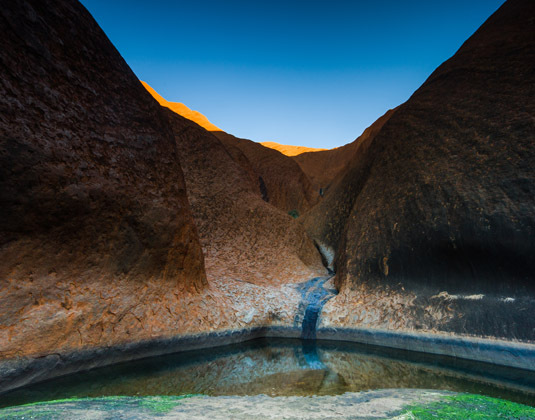 In the late afternoon, witness the striking colour changes as the sun sets over Uluru. Afterwards you have the option to enjoy a barbecue dinner in a peaceful desert setting followed by a tour of the night sky (additional expense). 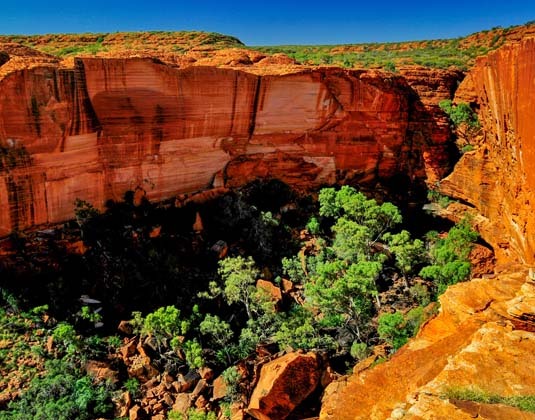 Day 3 Uluru: Rise early this morning to travel to watch the glory of an Uluru sunrise, then travel to the unique conglomerate rock formations of Walpa Gorge. 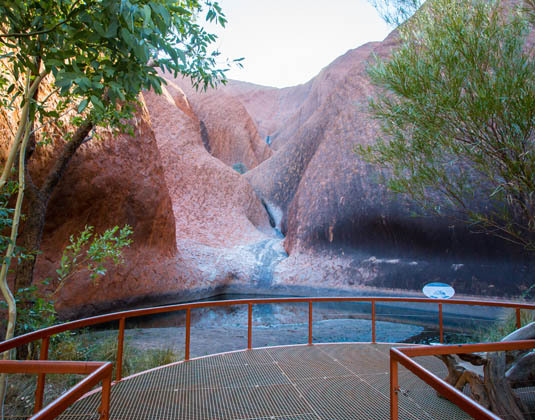 The walking trail through the gorge follows the natural creek bed between two of the tallest of Kata Tjuta's mystical 36 towering red rock domes. 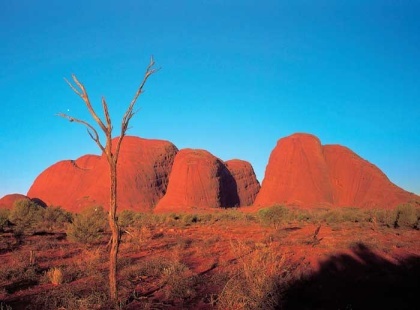 In the afternoon you will be transferred to Ayers Rock Airport where your tour concludes. 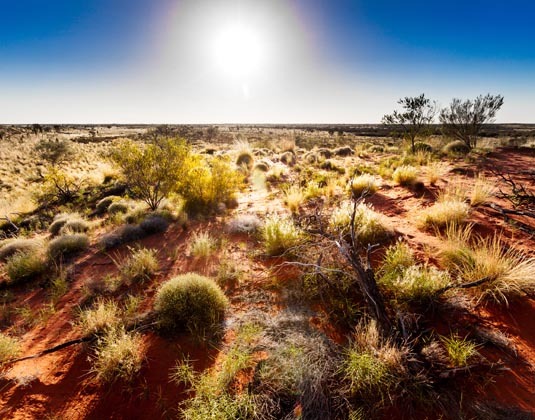 Accommodation: 3* Outback Pioneer Hotel. Meals: Room only. Breakfast included on day 2. 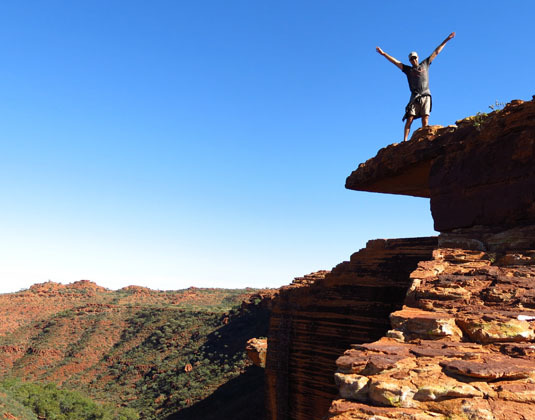 Tour price: The price shown for this AAT Kings tour is based on the best value travel dates in low season and includes pick up from Alice Springs, transfer to Ayers Rock Airport, 2 nights accommodation, sightseeing as outlined and services of driver guides (different vehicles and driver guides may be used each day to benefit from their combined experience). 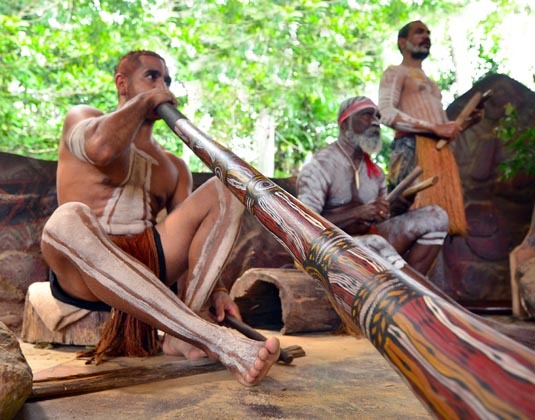 Higher grade accommodation is also available.